Although my little one is still a bit young to be making artwork, I know we are not far away at all from collecting her masterpieces on a regular basis. 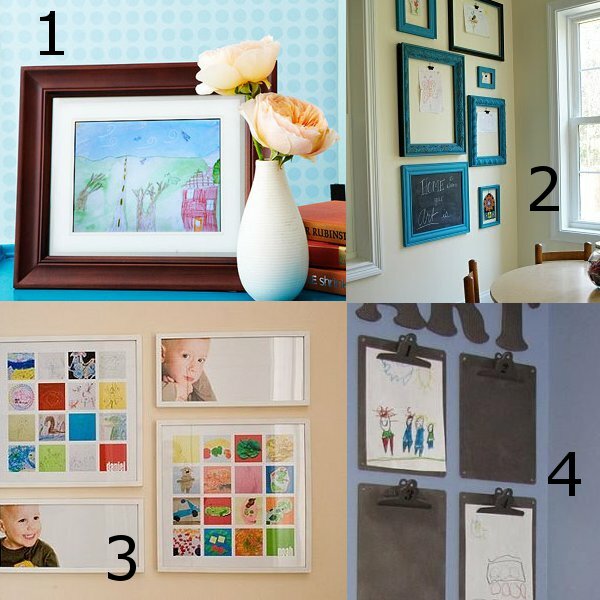 So I thought I would compile a few of my favorite ideas on how to display children’s artwork. Here is what I came up with after a quick search of the web!